Hey there, Robin here today to host the blog for you! 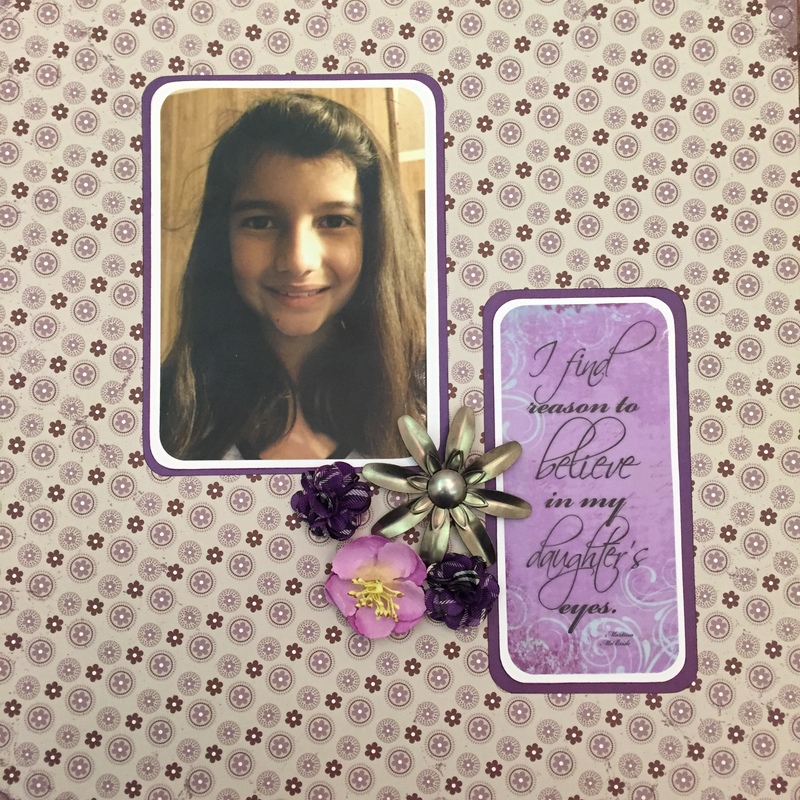 I have a layout design to share today honoring my daughter. She is so awesome and I am really excited about this layout. For this layout, I love how the purples in the papers and the quote look together. I inked all the edges with the powder puff chalking inks. They are amazing. The colors are incredible. 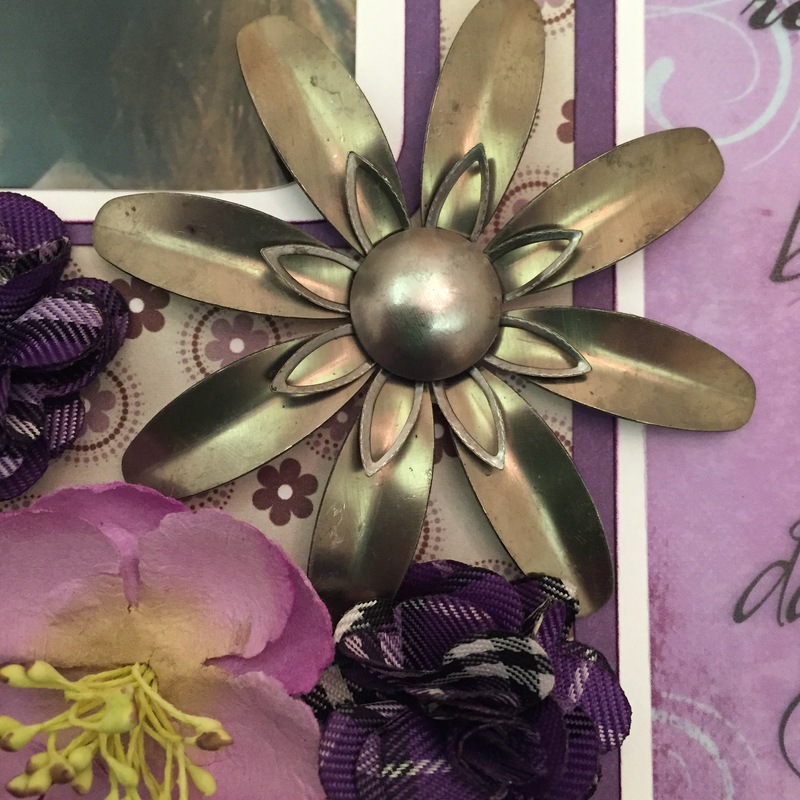 I really think the metal flower embellishment, along with the other flowers, just make the page pop. 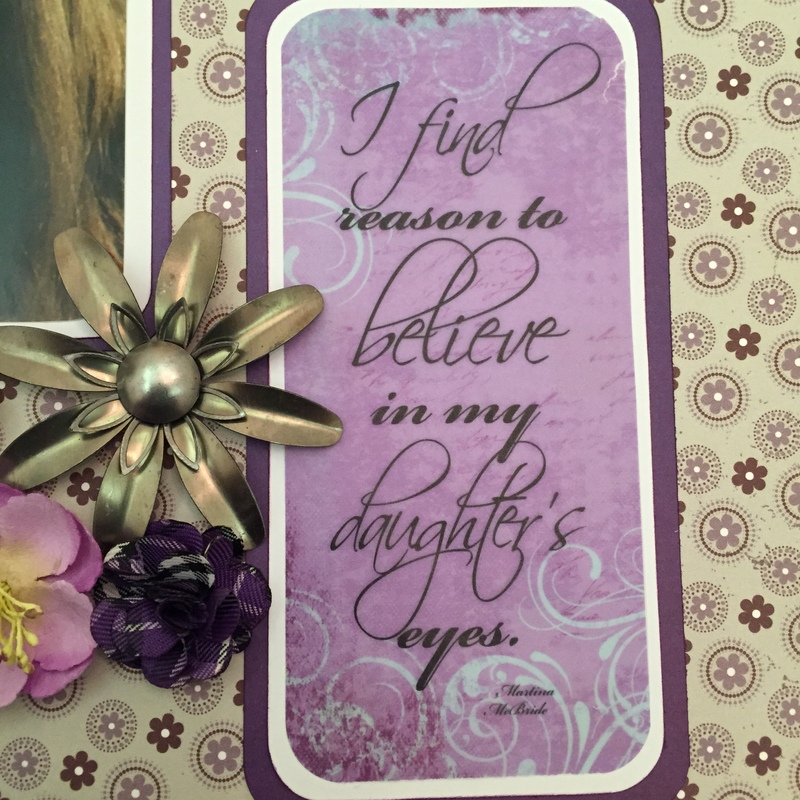 When I saw this quote, I just knew I had to do a layout featuring Gracie. I am in Love with the Unique Rustic Metal flowers, too!! !